The most likely reason that your subscription stopped is that the list software detected that messages sent to your email address were bouncing. Perhaps your mailbox was full, or perhaps there were problems with your mail system. You can re-enable your subscription yourself! You’ll need your list password to do this. If you don’t have it, please see "Getting your password" for instructions on how to get it. 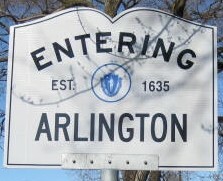 To re-enable your subscription, go to http://www.arlingtonlist.org/listinfo/arlington and scroll down to the bottom of the page. In the text box at the bottom, enter the e-mail address under which you are subscribed, and press the "Edit Options" button. On the page that appears next, find the section called "Disable mail delivery," and select "Off." At the bottom of the page, press the "Submit My Changes" button.